Bio-data in the prescribed format along with copies of certificates, mark sheets etc and a brief write up supporting the candidature/suitability for the post shall be submitted in a sealed envelope super scribed with “Application for Date Entry Operator / Technical Manpower on Contract basis” to The Assistant Director (Admin &amp; IT), IIP, E-2, MIDC, Andheri(East), Mumbai-400093. Last date of receipt of application is 5th May 2019. B.Sc./M.Sc. from any recognized university with 1 or 2 years experience in packaging will be preferred. Or M.Tech.- Fresher may also apply. B.Com from recognized university and experience in Tally software. 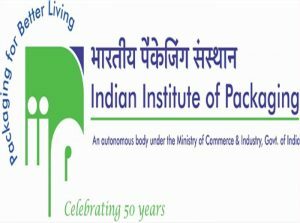 Lab Instrumentation Technician, Technical Manpower, Data Entry Operator (10 Vacancies) – Last Date 05 May 2019 (Mumbai, Maharashtra), Indian Institute of Packaging (IIP) recruits Lab Instrumentation Technician, Technical Manpower, Date Entry Operator post. Candidates with B.Sc. / M.Sc., Diploma, M.Tech., B.Com. experienced can apply. The Institute endeavors to improve the standard of packaging needed for the promotion of exports and create infrastructural facilities for overall packaging improvement in India. This is achieved through the Institute’s multifarious activities which are today, in line with those of premier packaging institutes the world over. The Institute aims to make India a focal point for contemporary developments in Art, Science, Technology and Engineering, with respect to the field of Packaging.